The nature of reading books is changing: the closure of traditional bookstores indicates that paper book sales are in decline. It is easy to feel as though this will discourage children from engaging with texts and make them more reluctant to read widely and often. However, eReading devices such as Kindles, Kobo and apps downloaded to smartphones are providing new ways for children to develop as successful readers. Teachers are embracing these features in their classrooms to provide engaging and useful reading experiences. Many of these ideas can be easily adapted at home in order to excite and support children to read more often. When it comes to using an eReader with children, engagement is the key benefit. Many kids see the use of any form of technology for reading as fun – worlds away from the boring home readers that frequently get sent home with students. Make sure that you capitalise on this enthusiasm by encouraging your kids to read frequently. eReaders come with a variety of features that are useful for assisting reading development. Have fun exploring these features and playing around with the devices with your children. They’ll be only too happy to show you how to use these items of technology proficiently. Many struggling and reluctant readers are turned off reading many books due to their physical size, both in the number of pages and the small print. They therefore choose books that are below their instructional reading level and don’t face the normal reading challenges that they would when reading more advanced texts. By using the accessibility features on an eReader, such as adjustable font sizes, the book suddenly seems less scary and easier to read. The effect of the physical size of the book is also diminished, as this is nowhere near as apparent as when as child holds a heavy, long book in their hands. 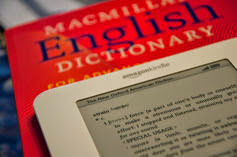 Many eReading devices are equipped with features that are of great assistance to struggling readers. These include text-to-voice capability and word look-up and dictionary functions. Text-to-voice or screen reading features are perfect for a young reader who requires assistance when reading an unknown or difficult text. Research has shown that struggling readers benefit when they are unsure of the text and listen to a portion of the text read aloud to fill in the gaps in their own understanding. This is also great for older children who don’t want to read with their parents, as they can access most books independently. The number of eBooks available and the devices to access them on is growing as publishers and booksellers embrace the concept of reading in this way. This larger variety of books is available in different and frequently more engaging forms, including comics, magazines and newspapers, alongside traditional novels. Free eReader apps, such as Amazon’s Kindle and Kobo, allow children to quickly download books and sample free chapters or a number of pages to see if the book piques their interest. More and more public and school libraries also facilitate the lending of eBooks, which makes them accessible for little or no cost. 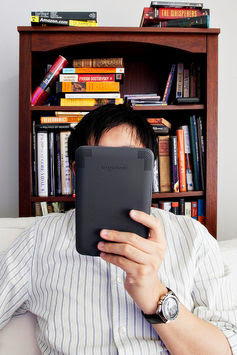 When you are reading from an eReader, no-one else can see what you are reading. Not only are these devices useful for adults when sneaking a few pages of Fifty Shades of Grey on the bus, but they are also of great use to support a reader to access a suitable text that they can manage but wouldn’t normally be seen reading. Many older reluctant readers can’t access the books that their peers are reading, due to the size of the text, the density of the print or the complexity of the words. 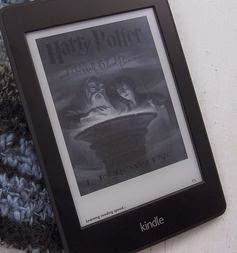 The advantage of the eReader for the older reader is that they can read a text in private, something that they may have been reluctant to pick up in front of their peers for fear of it not being “cool”. 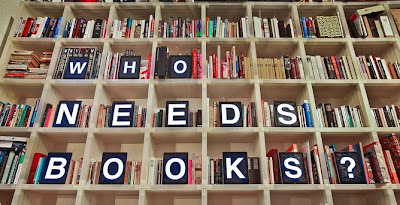 As a result, students choose what they want to read based on their own opinions and ability. Children who are successful in reading and writing are those with a great understanding of reading and how authors work in their craft. Being able to publish their own writing and transfer it to an eReader allows children to cement these skills. 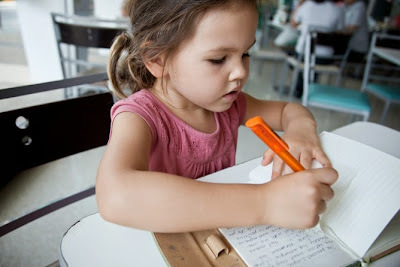 By crafting their own content, kids are always interested in reading what they have produced. You might like to construct a joint holiday diary on your next vacation and upload it to your eReader. Not only is this working to develop your children’s literacy skills, it is also a perfect way to share and preserve treasured memories. Have fun with eReading technology and encourage your children to do the same in order to encourage, strengthen and celebrate their literacy practices. This article was first published over at The Conversation on 1 December 2014. It is reproduced with permission from its Deputy Managing Editor Helen Westerman. The author is a Clinical Teaching Specialist and Lecturer in Literacy Education at University of Canberra.